The new supplement to Hymns Ancient and Modern will receive a very wary reception. It will be seen by some as being in the tradition of the First and Second Supplements that make up the Standard Edition. Others will hope to find in it some reflection of present interests, rather than the bringing up to date of an existing book. Some will hope that it will be very modern. Many more will fear precisely that. This is not a Supplement in the old sense. Modest though the experimentation may be, it is a kite-flyer for a possible new book, rather than a part to be added to either Standard or Revised A & M. This is a sound approach. With due respect to the work in progress on Revised Church Hymnary, this is a bad time for producing hymn books. We have just been through a very lean period as far as writing hymns for traditional usage goes, and we are still in the middle of a time of great activity in all manner of other kinds of church music—the ballad, psalmody, canticles. What then can this supplement offer? It can fill bad gaps in the existing book; it can bring us up to date with new writing; it can give pointers to new work: it can scour the whole field of traditional hymnody and new writing for hymns that fulfil urgent contemporary needs. What. I think, is not called for is the inclusion of the hymns that the present compilers would have liked to see in the last Revision had they had the responsibility for it. Such reassessment of the traditional material is the work of the compilers of a new book not of this sort of supplement at this particular moment. from ‘Lord, as we rise to leave the shell of worship’. Opinion is as likely to be divided on this as on Wesley’s ‘inextinguishable’. This hymn of Kaan’s is set to a great favourite of mine, CHRISTE SANCTORUM, but I would prefer a more supple tune. That is why SOLOTHURN is so successful for his fine ‘Now let us from this table rise’: it is a tune that can be moulded by the words. For the most part Albert Bayly’s five hymns are well served by existing tunes, but I hope that users of the book will press on to try his very fine hymn based on Micah 6, ‘What does the Lord require’, to a new tune by Erik Routlcy. Among other well-known names are those of G. K. A. Bell and Eric Milner-White, not thought of usually in this context. Less-known names are here too. I am glad that Stewart Cross’s ‘Father, Lord of all Creation’ is getting wider circulation. I enjoy being able to sing in its second verse ‘Jesus Christ, the Man for Others’. I am glad, too, that David Edge has solved the problem of the last verse of ‘Lord, we are blind’. I hardly think, however, that the problem of the tune has been solved. Rejecting Peter Cutts’s tune in Dunblane Praises II, two more are offered here. Cyril Taylor’s GODMANSTONE will serve: it is to be hoped that the suggested alternative, ES IST KEIN TAG, will be firmly put aside as a sore temptation. This lovely tune is far too serene for the humility of this prayer. Two of the less-predictable writers provide over one tenth of the book—H. C. A. Gaunt (6) and J. R. Peacey (5). Four of Canon Gaunt’s hymns are for the Communion—Gradual (2), Offertory and Dismissal. These are very useful pieces. In his hymn on ‘The Healing God’, however, he seems to be trying not to say too much. This may be the way he feels about the subject, but it makes a rather muted hymn. I am very fond of Canon Peacey’s ‘Filled with the Spirit’s power’, which speaks strongly of unity and race relations within the firm sweep of a hymn on the Holy Spirit. I like, too, his ‘O Lord, we long to see your face’: in it he speaks for the St Thomas in us all. But once again I question the tune, SURREY (which appears elsewhere in the book anyway) is hardly a tune of doubt, with its flowing sequences giving it a great feeling of self-confidence as though it has all the time in the world to spare. I am delighted at most of the new hymns, then, that are in the new book. I am not so sure about all of the older hymns. Wesley’s ‘Help us to help each other, Lord’ and ‘Jesu, Lord, we look to thee’, together with Doddridge’s ‘Jesu, my Lord, how rich thy grace’, are object lessons in hitting the contemporary nail right on the head by being supremely loyal to the New Testament. But I could have waited till we get a completely new A & M for ‘All my hope on God is founded’ and ‘Eternal Ruler of the ceaseless round’ and ‘Christ for the world’. 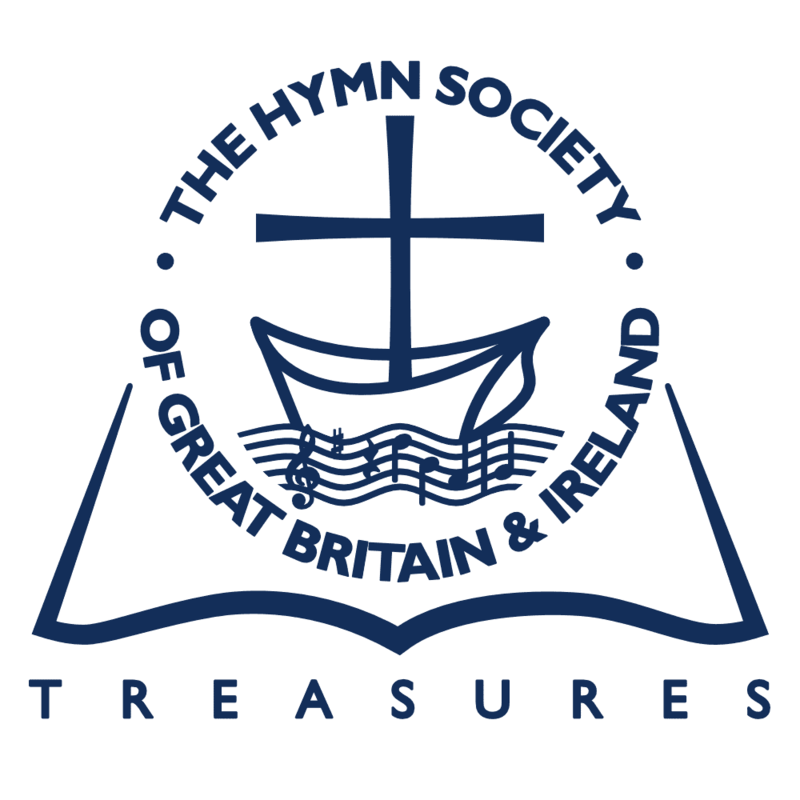 But this is a small complaint when one looks over one’s shoulder at the Methodist Supplement, Hymns and Songs, and sees a third of the hymns there falling into this category of those that might have waited. With such a small number as here, one is willing to suspend judgment. For example, glancing through the index for hymns in this category one’s heart sinks when one sees ‘Ephraim the Syrian’ as one of the authors, until one finds that he is now given as the source for ‘Strengthen for service. Lord, the hands’—which I would not like to be without. I suppose that ‘As the bridegroom to his chosen’ counts as an old hymn, being a paraphrase from Tauler, but it is quite new to me, and to Peter Cutts’s BRIDEGROOM it is superbly effective. In writing on 100 Hymns for Today it is the words one concentrates on. They do provide for a wide range of subjects for which one has had to choose hymns cither for their very general treatment of the subject or for a passing reference. In the Index of Subjects we have World Peace. Human Rights, Race Relations and so on. Despite the Preface’s claim that the book does not assume ‘a society more agricultural than industrial’, The City receives little attention. W. Russell Bowie’s ‘O Holy City, seen of John’ is very good, especially to Howell’s SANCTA CIVITAS, but where are the others? Perhaps the Methodists got in their claim for these first, for one finds one or two more in Hymns and Songs. Musically the book does not set out to be exciting. But there arc good things. It is good to see Stanford’s ENGELBERG in use, and to have other opportunities to try to get MAGDA and Lawes’s PSALM 47 sung to words not already wedded to a popular tune. Of course, one has questions and doubts. Where is the Rimaud / Langlais hymn ‘Dieu. nous avons vu ta gloire’, which has been well translated? Is this suffering from copyright problems? Could we not have seen John Hughes’s DINAS BETHLEHEM tried for ‘O sing a song of Bethlehem’ instead of a repetition of KINGSFOLD? But these are small complaints about a book that is intended for that deprived class in our churches— the regular Sunday Congregation. I hope that they have not been deprived for so long that they are unable to take the help now offered. The four Sydney Carter pieces point to a world of possibilities beyond which one devoutly prays they will not ignore. But for the moment there are a very large number of users of A & M, Standard and Revised, who should be delighted to use this sound little supplement.